This section of rockmga will provide new residents to Texas and new gardeners the basic information needed to get started on landscaping and flower beds. P Place plants properly – in good soil and with room to grow. L Look for problems frequently – pests will appear suddenly. A Apply water judiciously – know the soil capacity and the plant needs. N Nourish plants appropriately – in early spring, or after blooming. T Trim plants regularly – don’t ignore them as they grow. C Control pests naturally – with beneficial insects, biologicals, barriers and traps. A Anticipate hazards seasonally – cover to prevent freezing, mulch to conserve water. R Reduce risks initially – buy plant selections or varieties that have disease and insect resistance. E Evaluate efforts annually – if it won’t do what you bought it to do, then go to something else. 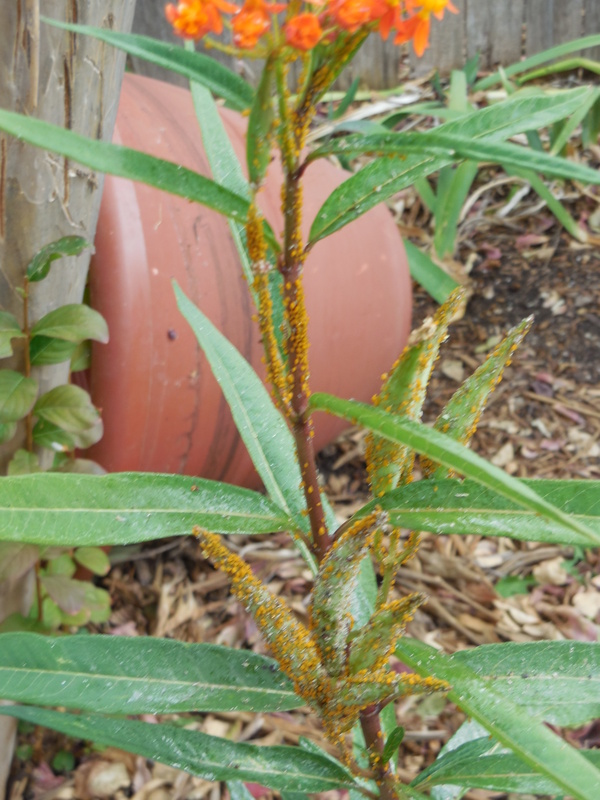 Aphids on a butterfly weed.